First Hampshire & Dorset is a bus operator providing services in the counties of Hampshire and Dorset. It is a subsidiary of FirstGroup. 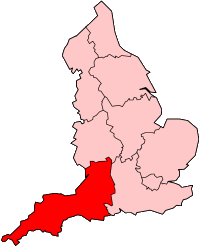 First Hampshire & Dorset was created out of various different smaller companies which were merged once FirstGroup had acquired them. In October 1995 FirstBus purchased the bus services in Fareham, Gosport and Portsmouth operated by People's Provincial. In April 1996 FirstBus purchased services in Portsmouth from Transit Holdings trading as Red Admiral & Blue Admiral, which in turn had taken over the Portsmouth CityBus operations under the title of Southdown Portsmouth. This operation was then put under the control of People's Provincial and the whole renamed to First Provincial. In 1997 FirstBus purchased Southampton Citybus and after a brief period of using the Citybus name, the operation was renamed First Southampton. 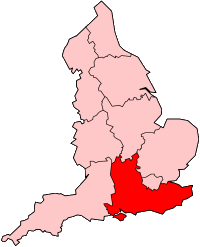 In 1999 First Southampton merged with First Provincial to form First Hampshire, later being renamed First Hampshire & Dorset. The company is facing growing competition in Southampton from Go-Ahead owned Bluestar. In 1999 FirstGroup purchased Southern National with the Dorset operations merged to form First Hampshire & Dorset in 2003. Poole Outstation of Weymouth Depot, providing vehicles for a school contract for Bournemouth Grammar Schools, Kingston Maurward College (Dorchester) work and X53 short workings and the 387 service. Portsmouth (Hilsea West, London Road, Hilsea). Due to the depot allocation size; many buses are also parked overnight in The News Centre, London Road Hilsea. As of March 2013 the fleet consisted of 360 buses. In Weymouth, First operate a number of Wright StreetLite buses on routes 1, 2, 3, 4, 8 and 10 purchased between 2013 and 2015. Several Optare Solos purchased in 2014, working primarily on routes 3, 4 and 8. Wright Eclipse-bodied Volvo B7RLEs which started operation in 2006. A number of Alexander ALX400s on various routes. A single Dennis Trident 2 purchased in 2005 branded for route 502. Several Wright Eclipse Gemini bodied Volvo B9TLs operating mostly on route X53 between Poole and Exeter bought in 2008. A single surviving Plaxton Pointer 2 bodied Dennis Dart 9.2SDA in operation since 1997. And Six Scania N94UDs bought in 2004 & 2005 operating on route X51. First inherited a large number of Leyland Atlanteans from Southampton Citybus along with Leyland Lynxs, Leyland Olympians and gas powered Dennis Darts. All of these have now been withdrawn from the Southampton fleet. An unusual vehicle inherited from the Provincial fleet was the first ACE Cougar, one of just two built, which has also been withdrawn. First introduced a number of bus types that are also no longer in service in Southampton; these include Volvo B7LA / Wright Eclipse Fusion bendy buses introduced in 2000 but transferred to First Glasgow in 2003 after they proved unsuitable for a number of Southampton roads, former First Capital Dennis Arrows proved unpopular in Southampton and moved onto First Greater Manchester in 2006. First had operated Optare Solos on the free City-link service between Southampton Central Station, West Quay Shopping Centre and Town Quay, these left the Southampton fleet when First lost the City-link contract to Uni-link, which subsequently became franchised to Bluestar in 2008. Service 1 - Weymouth to Portland via Wyke Regis, Victoria Square, Fortuneswell, Easton, Weston and Southwell. Service 2 - Weymouth to Littlemoor via Park & Ride, Dorchester Road, Broadway, Littlemoor Shops (Daytime) and Canberra Road / (After 10pm) Chalbury Corner and Preston. Service 3 - Weymouth to Westham via Town Bridge, ASDA (Newstead Road), Hereford Road and Fiveways. Service 4/4A - Weymouth King's Statue to Preston via Lodmoor County Park, Overcombe Corner, Chalbury Corner, Seven Acres Road (4) and Sutton Poyntz (4A). Service 4B Summer Service - Weymouth King's Statue to Warmwell Cross via Lodmmor Country Park, Overcombe Corner, Chalbury Corner, Weymouth Bay Holiday Park, Osmington and Warmwell Cross. Service 8 - Weymouth to Chickerell via Town Bridge, ASDA (Newstead Road), Westham (Evenings only), Fiveways and Chickerell, East Street. Service 10 - Weymouth to Poundbury via Dorchester Road, Broadway, Upwey, Dorchester (Trinity Street) and Poundbury. Service X51 - Dorchester (South Station) to Axminster via Poundbury, Bridport, Lyme Regis and Axminster Rail Station. Service X52 - Bridport to Exeter via Lyme Regis, Seaton, Beer and Exeter Bus Station. Service X53 - Weymouth to Axminster via Portesham, Abbotsbury, West Bay, Bridport, Lyme Regis and Axminster Rail Station. Service X54 - Weymouth to Poole via Preston, Wool, Wareham, Upton, Hamworthy and Poole Bus Station. Service X55 Summer Service - Littlesea Holiday Park - Bovington Tank Museum via Weymouth King's Statue, Osmington, Lulworth Cove, Wool and Bovington Tank Museum. Service 501 Summer Service (Open Top Bus) - Weymouth to Portland Bill via Wyke Regis, Portland Castle, Fortuneswell, Easton and Portland Bill. Service 503 Summer Holiday Park Service - Weymouth King's Statue to Waterside Holiday Park via Bowleaze Cove. First Dorset also operate school bus services for Budmouth Technology College. ↑ This is Hampshire.net - "Getting the hump" - Bendy buses have trouble over speed bumps Archived October 9, 2007, at the Wayback Machine.